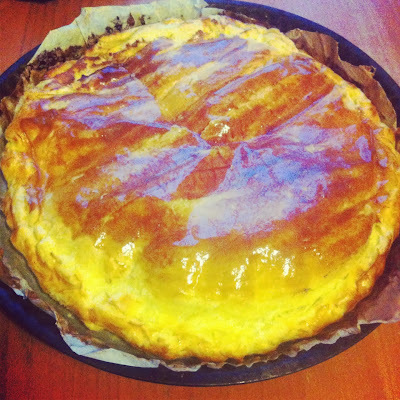 My Love for Paris: Galette des Rois (King's Cake) time! 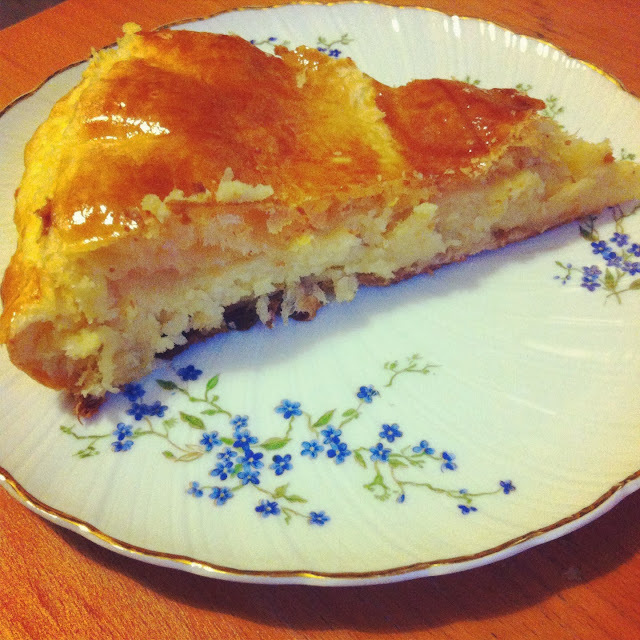 It's Galette des Rois time of the year again..! Normally falling on first Sunday of January, it's a French tradition that involves the finding of a little hidden trinket in your slice of galette des rois, bestowing you the chance to be King or Queen for the day (and, potentially a free pass to boss everyone else around). Back in the day, it was a little broad bean 'la fève' that was hidden in the cake but now it's really whatever little figurine/trinket you can find. This time last year, my Mum had flown over from Australia to Paris to stay with me for a month after I broke my collarbone. 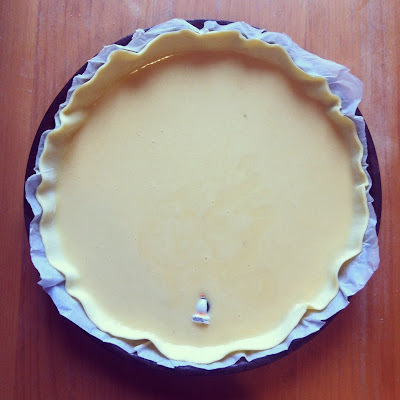 John made a galette des rois when he came to visit us and Mum ended up biting into the little porcelain trinket making her to be Queen for the day! Although, my Mum being my Mum, felt uncomfortable not slaving away and looking after everyone else. She also thought it was a conspiracy that she ended up with the paper crown. What I like about this annual tradition is that for one, it only comes once a year, like the Full Moon Festival. You can, but you don't eat moon cakes or galettes des rois any other time of the year. Secondly, there's a tradition to ensure the double blind randomised control distribution of the slices. The youngest child has the responsibility of choosing which slice goes to whom and gets to make these critical decisions underneath.. the table! Add the cornstarch to a saucepan containing the milk. 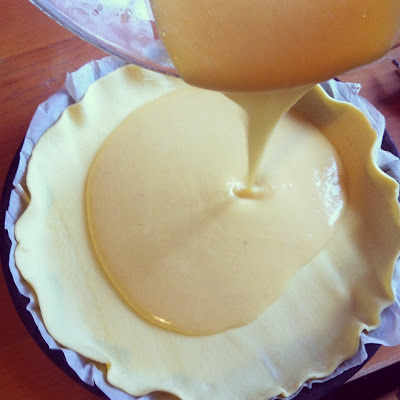 Over super low heat, gradually heat up the mixture making sure you whisk it well so that the texture is smooth and not gloopy. Add the rum and vanilla essence and continue to whisk over the stove. 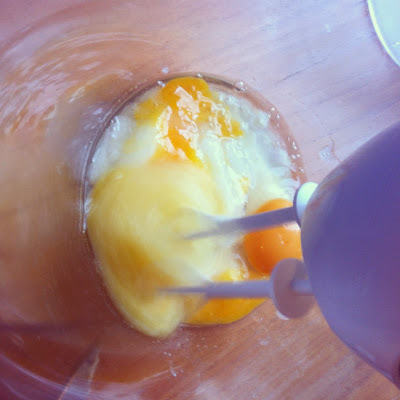 In a mixing bowl, beat the sugar, 2 eggs and softened butter together. Add the warm mixture from the saucepan to the mixing bowl and continue to beat. Gradually add the almond meal in small portions and beat. 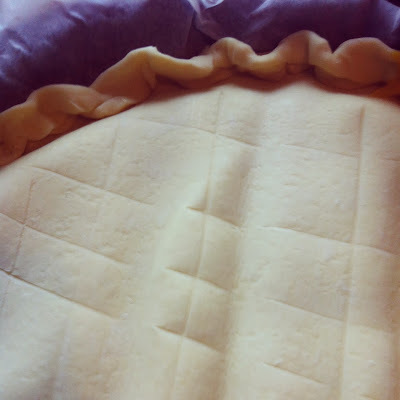 Pour the almond cream mixture into the middle of the first sheet of puff pastry. Drop in your little trinket of choice towards the edge of the cake! Lightly score the galette with a knife. 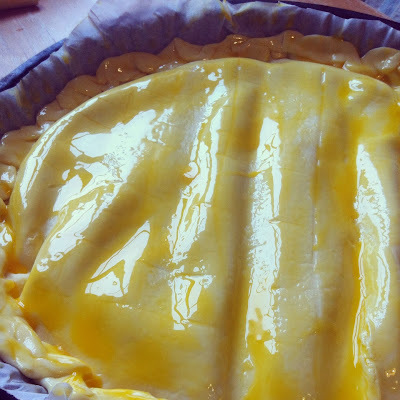 Use the yolk to go over all the nooks and crannies and the delicate scoring of the puff pastry before popping it into the oven at for 35 minutes at 180 degrees. After taking the galette out of the oven, it should puff up like this, or better than this (I hope!) with a golden finish. 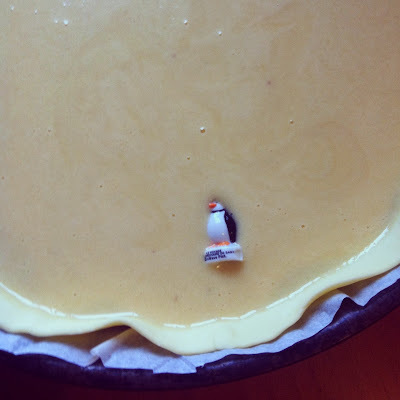 Allow it to cool a little before serving. Not perfect but um, it was the rustic look we were going for..
Haha. It's against the rules to give up your fève...!